What a crazy busy week it has been! I am so excited that the weekend is finally here and I can get the rest of my holiday shopping done and spend time with the fam. I did some online shopping for NYE dresses and fell in love with this one and this one. 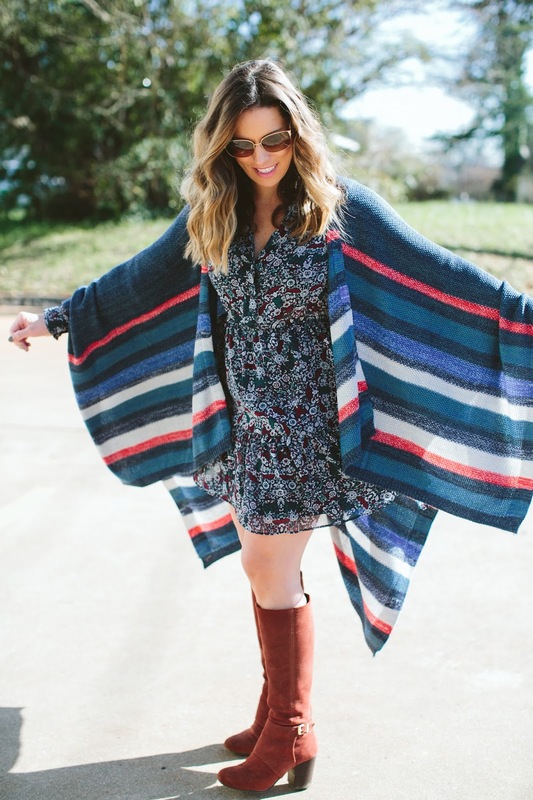 I wore this flowy floral printed dress and paired it with this striped poncho for a fun mix to kick off the weekend. 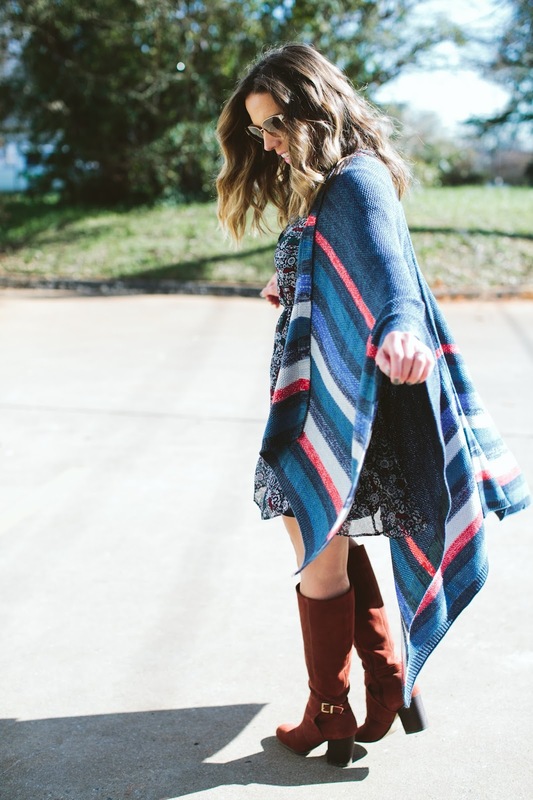 This poncho is super comfy and is perfect with a pair of distressed denim or thrown over a fun printed dress.